is to make cancer and cancer research understandable for everyone; to bridge the gap between cancer scientists and cancer patients; and to provide cancer research scholarships for promising young students worldwide. Please donate to support our cause - help us continue with our free educational programs. Cancer Education and Research Institute® (CERI), is a registered 501(c)(3) non-profit organization. We are currently planning to majorly expand our educational programs throughout Massachusetts. Our goal is to collaborate with Community Health Centers and Community Groups. Please contact us for lectures and collaborations. Our Public Cancer Symposium/Lecture Series is open to everyone. Attendees learn details about specific cancer types, symptoms, diagnosis, treatment, latest research, and life after survival while providing an interactive component. Contact us for lectures and seminars. Our goal is to expand our educational programs throughout the Nation. We look forward to collaborating with other Foundations and Health Centers across the country for cancer type-specific lectures. Please contact us for lectures and collaborations. We have given a cancer lecture in to outstanding middle school students at Yonder Schools in Istanbul, Turkey. We were impressed by their enthusiasm, thirst for more knowledge, and brilliant questions about cancer. Contact us for lectures in your schools Nation and Worldwide. We have given a public cancer lecture in Turkish, in Istanbul, Turkey sponsored by the City of Atasehir. We provided information on cancer development, nutrition, healthy lifestyle and diet. Our goal is to continue with our lectures worldwide. Become our sponsor! We have given a comprehensive lecture on Chronic Lymphocytic Leukemia (CLL) and cancer immunotherapy (CAR-T cell) a Chapter of the National CLL-Support Group. We look forward to collaborating with many more cancer support groups. Contact us to schedule a lecture. We certainly continue with our academic work and give scientific talks in academic conferences and universities. We have recently given talks on cancer immunotherapy (using CAR-T cell technology) as our main scientific focus area among others. Contact us for talks in your academic conferences. Read the results of our projects and the impact we make in people's lives in our Annual Reports and Media Kit here. We are committed to providing information resources to cancer patients about their disease, latest cancer research, and cancer institutes and hospitals worldwide that provide specialized cancer care and specific targeted therapy methods. We help people worldwide, every day. JSCR is our official journal. 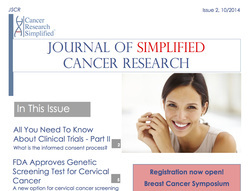 For only $4.99 per monthly issue, you can gain digital access to straightforward information and articles on cancer news, diagnosis, prevention, treatment, and clinical trials. Our programs provide information on cancer types, symptoms, diagnosis, treatment methods and options in a straightforward, non-technical way and in multiple languages, reaching a broad audience in all of the US and worldwide. Cancer patients go through big psychological changes and we most certainly acknowledge this important fact. Our clinical psychologists provide you with trustful information on cancer and psychology. Healthy lifestyle and diet are the key for good health, cancer prevention, and a good quality of life after survival. We actively promote and educate about eating healthy and exercise effectively. Learn from our extensive programs. Cancer patients and family often don't know where to go, what to do after their diagnosis, enhanced by lack of knowledge. Our organization is founded to solve exactly this problem. 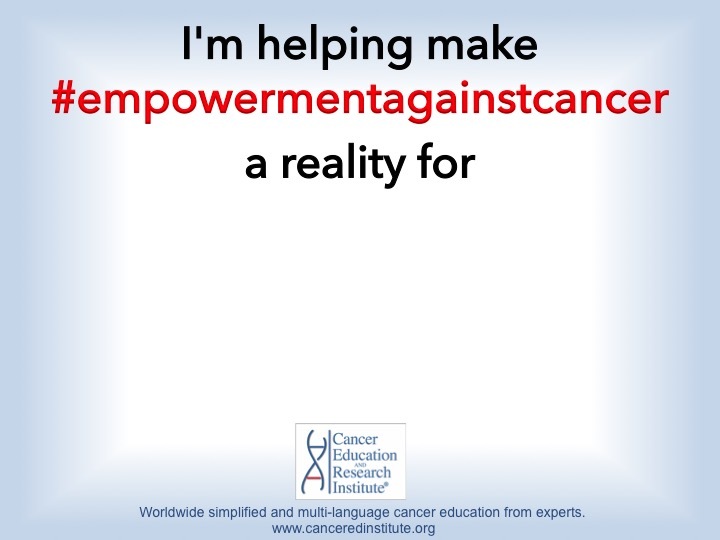 Knowledge is power and you can help cancer patients to be empowered by participating to our campaign:‪ #‎empowermentagainstcancer‬. Developing healthy and happy next generations are they key for a healthy and happy world we live in. We educate children and youth about cancer and guide them in healthy lifestyle and diet choices. Contact us for lectures and seminars. With your donation, we can help cancer patients worldwide find better care, and help both patients and their families find comfort and empowerment through knowledge. There are many ways you can volunteer with us, either locally or internationally. We are always looking for people with various backgrounds, talents, and skill levels. We are looking for energetic, passionate leaders to join our board. Learn more and submit your online application here. 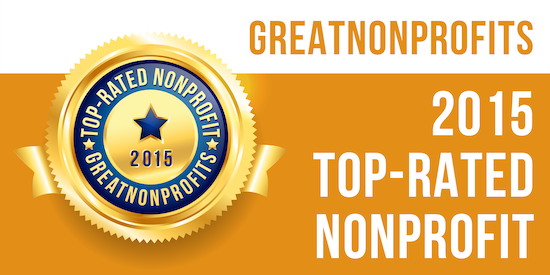 For the 5th year in the row, once again, we have won the Top-Rated Nonprofit Award 2018 by Great Nonprofits thanks to all the positive online reviews. 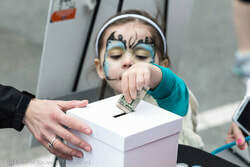 To read what our clients, donors, volunteers, and the general public say about us, our work, what an impact we make in their lives please visit our GreatNonprofit page. Join us tomorrow at the VolunteerExpo - we recruit volunteers and board members!